音速青春: Morrissey - Who Put the 'M' in Manchester? Morrissey - Who Put the 'M' in Manchester? 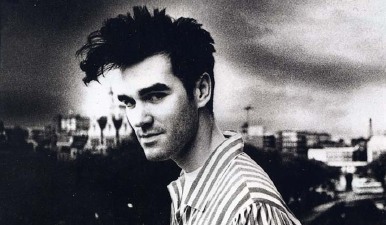 "I think Morrissey is completely sad for what he's done to The Smiths' songs. Do you really think his latest version of "There Is A Light That Never Goes Out" can compare with the original? It's dreadful. I learned to play a guitar strumming along to Smiths' records. They're close to my heart... but to hear Morrissey play his songs in that way is like a dreadful pub rock band. It's a joke." "Johnny Marr is the most influential person in my life." 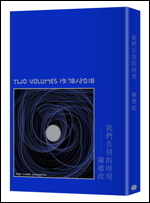 我正好去年也看了Who Put the ‘M’ in Manchester?的演唱會實況DVD, The Smith是80年代中到末伴隨著我度過大學生涯的重要樂團, 他剛單飛出了Viva Hate這張專輯後舉行巡迴演唱會, 我和我老姊當時都在加大柏克萊唸書, 他正好要在Greek Theater開唱, 我們就買了票排了好久的隊去看他的現場演出, 看之前超興奮的, 看完之後覺得有點幹, 你知道嘛, 十多年前的Morrissey就是那樣, 還沒發福, 還是很酷很憂鬱, 整個set不到一小時半, 一首Smith的歌也沒唱之外, 他下台後任憑幾千名歌迷喊了多少次安可他不出來就是不出來, 大家只好悻悻然閃人, 不過這次他在Who Put the ‘M’ in Manchester?演唱會上親和力超夠, 而且新專輯(算是兩年前的專輯了吧)的歌證明他寶刀未老, 重要的是除了唱了Everyday is Sunday等早期單飛的歌, 還唱了不少Smith的歌, 最後聽到There is A Light That Never Goes Out頓時讓我淚流滿面, 不知道你是不是也一樣感動? RE:Morrissey - Who Put the 'M' in Manchester?